There's no better way to make a lasting impression in a home than with the graceful presence of a grand stairway! That's why builders that demand superior quality and craftmenship have been choosing wood stairs made by J.V. Stairs for over 50 years. J.V. Stairs staff is dedicated to creating the staircases homeowners have always imagined - turning each into an Architectural Masterpiece. 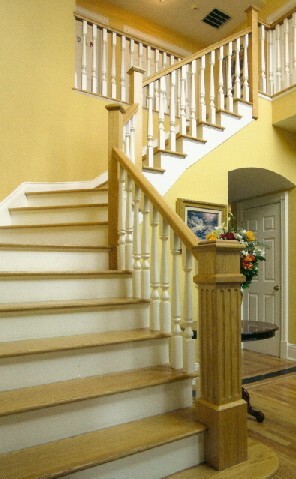 Serving the New York Westchester, Putnam, and Dutchess Counties with Custom Stairs and Railings for over 50 Years.